You can claim your replacement leaves online. 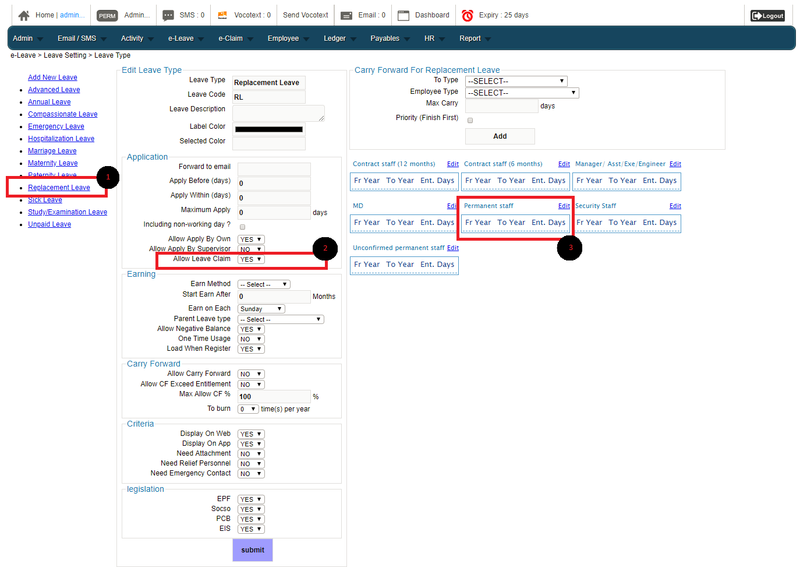 Find out the types of leaves available and how you can configure it. Our system has a unique approached that allow the employees to cancel their own Approved Annual Leave. 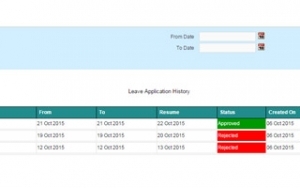 Employees can view their leave application status (e-Leave > Application History) and previous leave record through the system without troubling colleagues from the HR department. 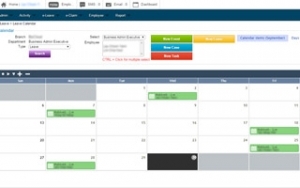 Team member’s leaves are nicely tabulated in calendar form (e-Leave > Leave Calendar). 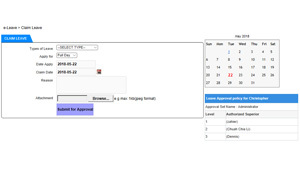 The feature under e-Leave menu allows manager to check if there is any pending application. 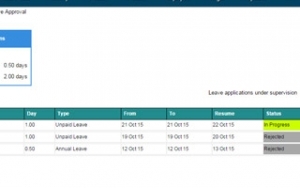 Leave report can be generated under Report > e-Leave report. It acts as a reference guide in evaluating employee performance, as well as to prevent sick-leave abuse. Employees are able to claim/credit leave for companies that practice a replacement leave for the employees that work on their off or rest day. 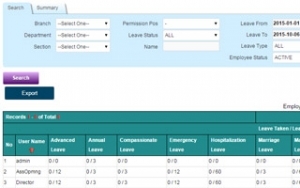 This claim leave will be credited automatically to the employee claim leave type so the employee is able to apply for leave using this credit leave.